Rock The Body Electric: Dylan Cover #167 Hannah Cohen "Covenant Woman"
Dylan Cover #167 Hannah Cohen "Covenant Woman"
In this ongoing Monday Series we will be exploring various artists versions of Bob Dylan song's. Today's tune is a cover by Hannah Cohen playing "Covenant Woman"
In the beginning of this year we mentioned of a new collection of Dylan covers that we were very excited about. 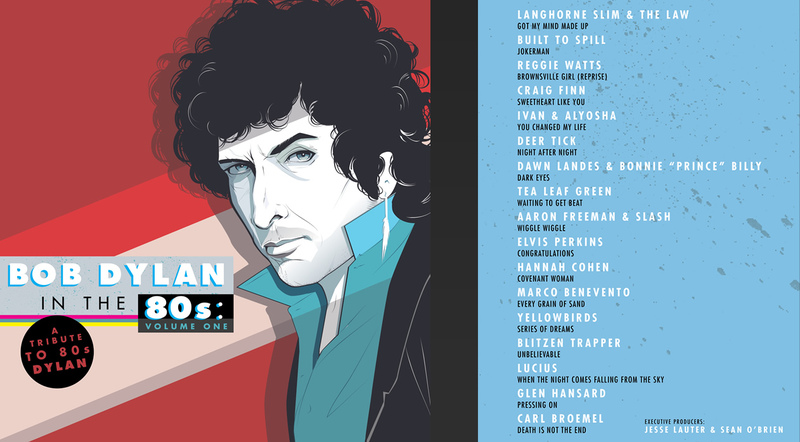 It has taken us some time but for the month of December we will focus on 5 songs from Bob Dylan In the 80's Vol 1. Put on your Members Only jacket and enjoy. "Covenant Woman" is the third song on Saved which was the middle of Dylan's "Born-Again" period and while some have said there is a deeper darker meaning in the lyrics, I believe during this period Dylan put his lyrics directly on the table with no symbolism or nefarious shadows behind them. Sure I could be mistaken, but I think this is pretty honest...if a pretty boring song at that. I have not heard of Hannah Cohen before I checked out this cover. She is a New York model/singer with one album out Child Bride. Stirring and deep, Cohen does an amazing job as do all the players/arrangers involved. Her voice starts things off and dominates in a chilling fashion, but the starkness is slowly brushed aside by a rising sweetness as the instrumentation overpowers the vocals in walls of sound. The middle of the tune finds a mellowed out Cohen lightly signing with reassurance before one last chorus swirling uptick. This is one dense and engaging cover much more interesting then the original. Dylan Cover #170 Yellowbirds "Series of Dreams"
Dylan Cover #168 Craig Finn "Sweetheart Like You"
Dylan Cover #166 Built To Spill "Jokerman"